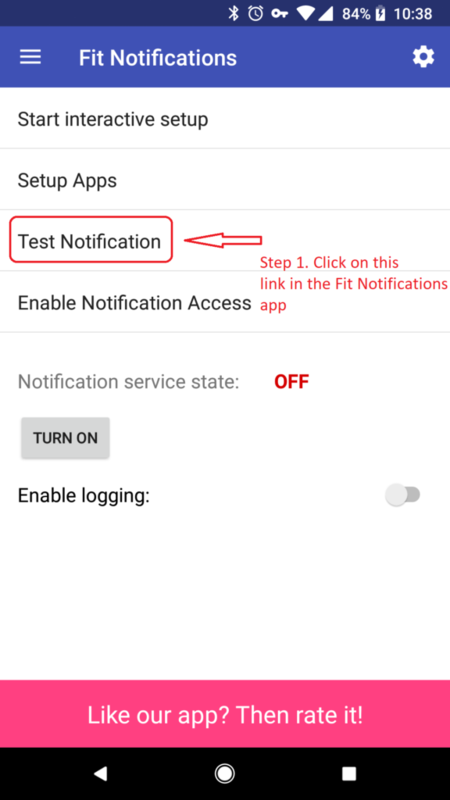 UPDATE: A new update for the Fit Notifications app is released (version 2.9.16). It should automatically do the steps described below. An awesome bonus is that the updated app also suppresses sounds again! Give that a go! Okay, so after some troubleshooting I identified the fix for Fitbit’s new update, which is causing major issues for all users. Unfortunately, the fix is a little involved, but the only way to fix it is for you to manually update some settings on your phone. I cannot update the “Fit Notifications” app to automatically fix this for you. Also, this will mean that the behavior will be a bit more annoying than in the past. So, Fitbit, in all its infinite wisdom, decided that only those notifications will be forwarded to your Fitbit tracker if the notification makes a sound. Sadly, the Fit Notifications app’s notifications do not make a sound. So, therefore these notifications will not get sent to your fitness tracker. To fix this, follow the steps in the screenshots below. Please note that due to the diversity of Android phones, the settings may not be in exactly the same place for your phone. But it should be in a similar location. 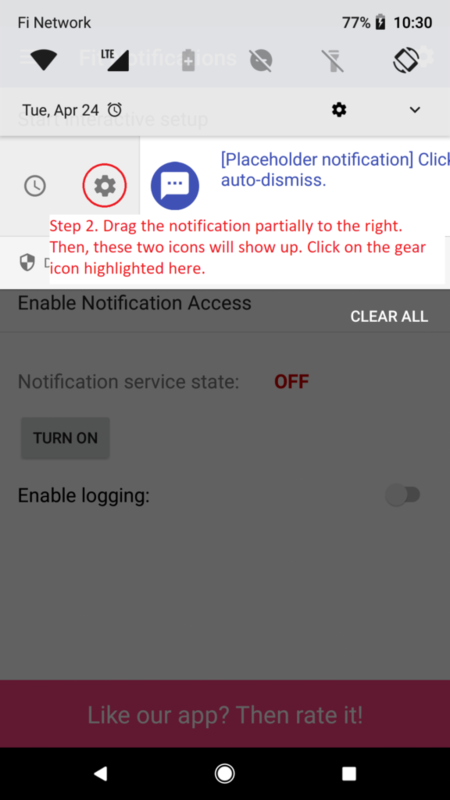 Now, pull down the notification shade on your phone and find the notification from the “Fit Notifications” app. 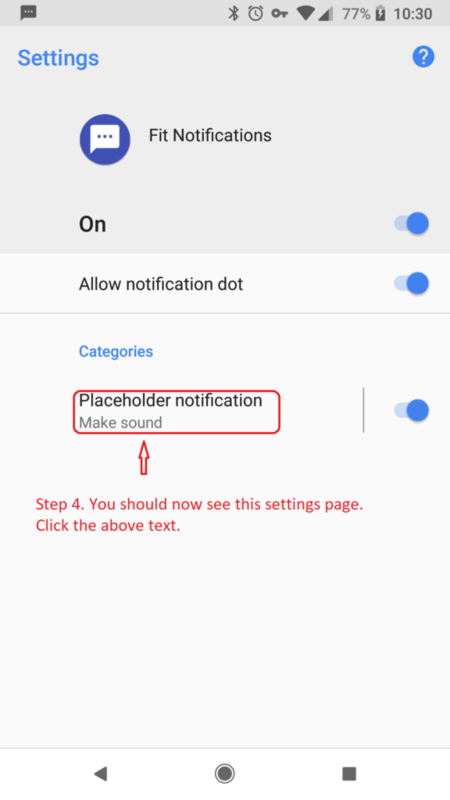 Then, do the following to it (that is, pull this notification partially to the side). 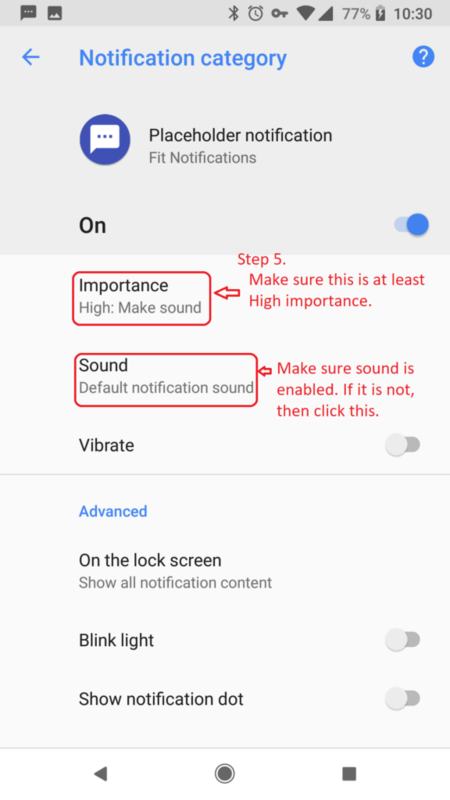 For what it’s worth, I can confirm this does the trick on my Pixel 2 XL. Thanks for figuring it out so quickly. I’m going to trim it so it’s less than eight seconds so the notification sound associated with this app will barely be perceptible and it will provide the illusion of fewer notification sounds. That is a useful hack and a helpful suggestion for other users! Thanks for the great tip! 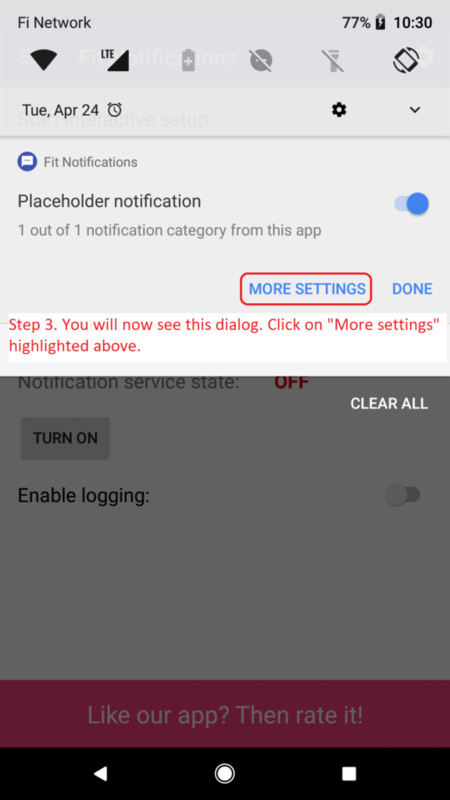 EDIT: The latest update to the Fit Notifications app (version 2.9.16) does something even better! It uses a silent sound file for the notification sound and so now the app behaves just like it used to! Give it a shot! This is perfect! 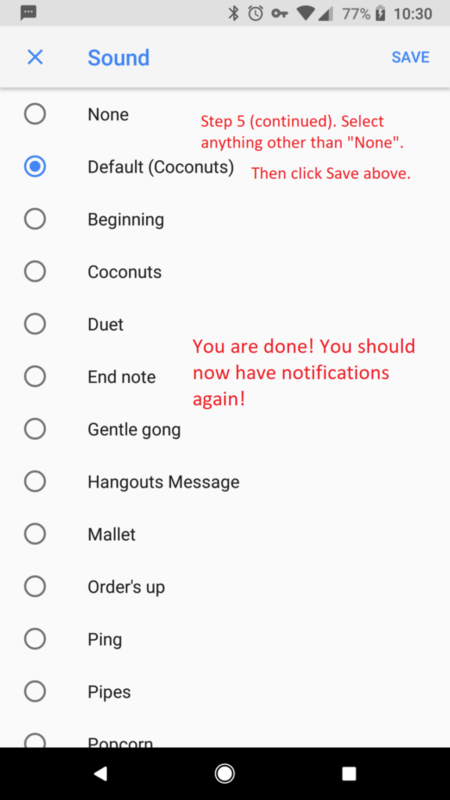 I discovered that the “silent” notification I was using cut off the my notification sounds, but this is great! It works just like before. Thanks!